Tearing and Weaving. How we grow. There is a spider outside the window. She is probably three inches across with a beautiful yellow and black design. Of course, we named her Charlotte. Every morning we stumble (I stumble, the younger girls bounce) into the kitchen to start the day. Sippy cup of milk for Peach, OJ for Lottie, coffee for me. And we make our way over to the window to check on our spider. 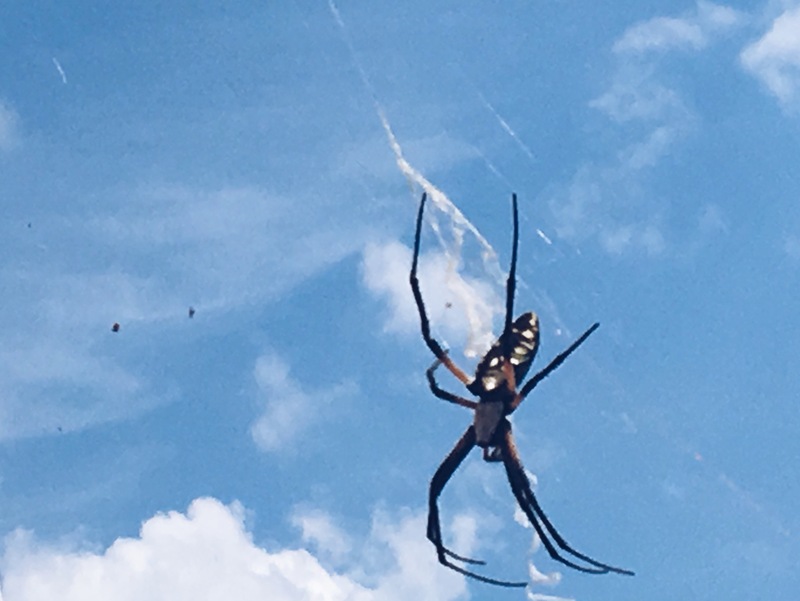 This morning I watched her go around and around tearing up her old web and weaving a new one. She does this often. We’ve watched her make several iterations now because we’ve been watching her for weeks. It is mesmerizing. This morning as I watched her tear down her old work and start again, I felt solidarity. It feels a lot like sanctification. The daily taking away of what doesn’t work or edify or bring beauty. The examination of my heart and uncovering ugly places that need to be reworked. The consideration of this particular season and my particular disciples, dismantling formulas and weaving growth and grace for this new day. Our spider does this often and never knowing she has an audience. She spins and weaves and creates masterpiece after masterpiece, so that she can capture food and protect herself certainly, but also because she made to create. She doesn’t lament the demolition, and she doesn’t begrudge the construction. But with each gossamer thread she spells out glory. I watched her spin and thought back over my last couple weeks, the plans that had to be ditched, the messes that had to be cleaned (so. much. throw. up. ), the sour attitudes (mine the sourest), all the un-glorious of it. A lot of ugly came to the surface, and I had to hand to God some things that needed to be torn down. And now I have to be patient in the rebuilding. It isn’t ever fun to feel like God’s forgotten you, but I’m guessing we’ve all felt that from time to time or maybe for a very long season. I think it’s okay to honestly tell Him how we feel. He might not change any of our circumstances, but that honest confession might be the gateway to weaving something new. And through it all–the surrendered undoing and the merciful creation–He’ll show us His glory in woven splendor.